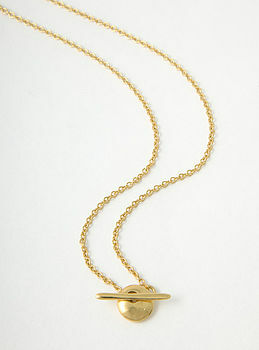 Gold Plated Silver Necklace with a round shape used as a clasp and as pendant. 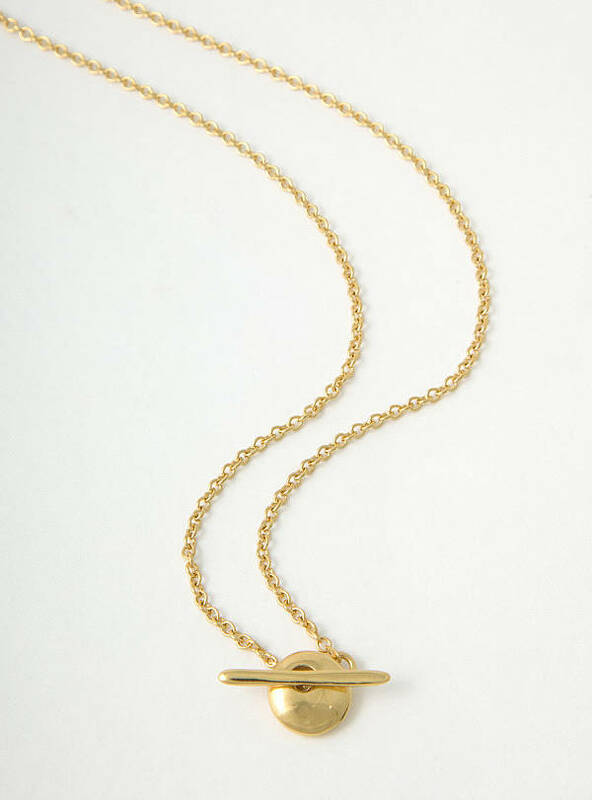 Moon Collection was born by using the clasp from the Figures Collection. Playing with different sizes as well as reducing the hole to place a stone, gives this collection a powerful look. Available in Silver or Gold Plated Silver. Items can be made in 9ct or 18ct Gold, please request a price quote. Diameter of dome is 1cm and diameter of clasp is 2cm. Length of the necklace is 41cm.